I do my best to not directly compare games in my reviews, because I firmly believe games should be judged on their own merits. That being said, sometimes, it’s impossible not to draw lines of inspiration. Let’s get this out of the way now: Morphite feels like it was heavily inspired by No Man’s Sky. That being said, that’s the last time I’m going to compare the two. 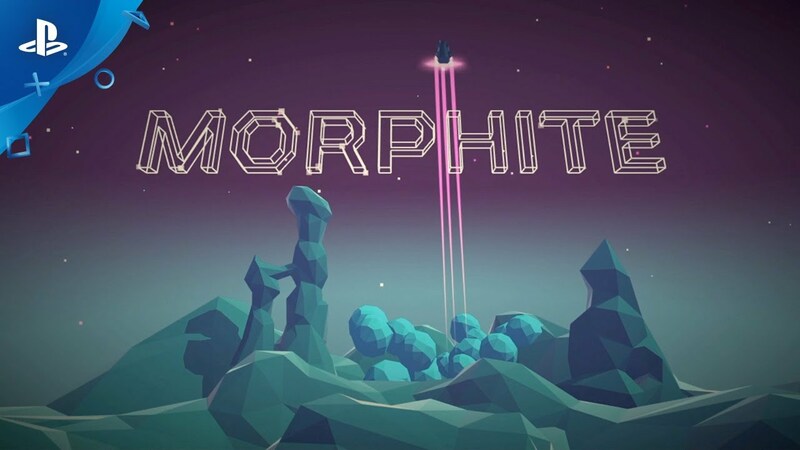 Morphite is a new space exploration action game for the PS4 where you play as Myrah. With her trusty sidekick Kit Kat, you’ll journey across the galaxy in search of the mysteries behind the material known as Morphite. Does this game offer a compelling adventure and a galaxy worth exploring, or does it buckle under the weight of its own ambition? Let’s find out! Morphite's story does a really good job of catching your attention and keeping it as you progress. The setup involves Myrah Kale, a young girl who works for a living by selling scans of flora and fauna that she captures in her travels. During a routine mission, she stumbles upon ancient ruins and encounters an ancient and very rare substance called Morphite. When she discovers the true nature of it, she also soon begins to see visions that propel her into a mystery of cosmic proportions. The hunt for answers is expertly woven into the main plot, which had me jumping excitedly from planet-to-planet. It was consistently interesting, but I can't say as much for the side missions. Beyond the main story, side missions offer very little narrative and often devolve into simple busywork. It's a shame, because the main story is really solid, and a better selection of side activities would have encouraged me to try out other missions. The voice acting and writing is a mixed bag here. While I like the story, there are times where it buckles under the weight of its own ambition. Big and lofty moments that are supposed to be emotional or shocking tend to feel glossed over. Revelations happen quickly and with limited animation in the characters, there's not a lot of expression to make these pivotal story moments feel impactful. That being said, I did enjoy the humor the Kit Kat always brought to every situation. The interaction between him and Myrah was always fun and lighthearted. Myrah and her sidekick Kit Kat are both voiced well, even if Myrah's lines can come across a little forced. Other characters have a wooden delivery that doesn't help with the overall feel that the story could have been deeper and more intense. That being said, the core mystery was enough to keep me going, so there's something to be said about the strength of the premise here. I like the feel of Morphite a lot. Compared to similar experiences, this game has a nice streamlined feel that doesn't waste time between worlds. While you'll need to stop for fuel, you can otherwise jump around to different systems as you like. Your travels are sometimes broken up by bandits who try to attack your ship or asteroid fields that you must navigate through. Navigation is done through a star map, and a simple UI lets you know when you'll need to stop for fuel or repairs. The main planets you'll visit for the story are handcrafted, while the numerous other worlds you can visit are procedurally generated. There's a big difference in quality between the two, but that's really because I thought the hand-crafted planets did a great job of feeling unique. The handcrafted planets have ancient ruins, puzzles, platforming, and all manner of flora and fauna. Some of them do tend to feel a little bare, but the procedural planets are far more guilty of this issue. When you choose a planet, you'll be dropped inside a pod that takes you down to the surface. I really enjoyed watching the landscape appear around me as I gazed out of the pod's window. Once you've landed, you're free to begin exploring and scanning. Your scanner can quickly identify and catalog plants and creatures. While many of the creatures will be hostile, you can dodge them while scanning to get your info before you flee. In terms of combat, you have a few different weapons to choose from, but none of them are terribly effective. You will have the option to upgrade your weapons, armor, and ship throughout the adventure, but it requires a lot of resources that aren't very easy to come by during your travels. Even so, the sense of freedom and discovery is great. My personal favorites were the simple, but engaging puzzles inside of the game’s ancient ruins. Everything felt functional, yet streamlined, and that made it easier to jump and make progress. Unfortunately, Morphite did run into some issues for me. The game is unstable, even after several patches since launch. Not only did I encounter plenty of glitches and bugs in the game world, but I experienced numerous crashes during my playtime. I tried reinstalling the game after several crashes (which all seemed to happen during or after boss fights), but these things put a big damper on the overall experience for me. The reinstall seemed to help, but that doesn’t explain the bugs I encountered throughout the adventure. Some of them were helpful, like a boss getting stuck in a wall so I could knock out its health. Others, like falling through the bottom of the level and forcing a restart, were not as enjoyable. Fortunately, the developers seem to be addressing these issues via patches thus far from, so I’m hoping the major problems get ironed out, because I liked the game otherwise. 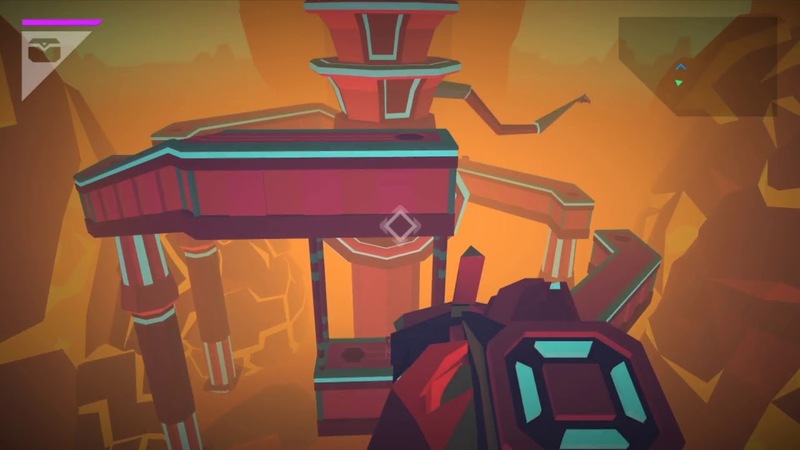 The style in Morphite is a low-poly choice that offers basic environments with simple creature designs. Even with the relatively simplistic choice in style, I still found myself engrossed in the main worlds. The ruins especially had a lot of nice detail to them. Watching the landscape climb toward you as you descend in your drop pod was always an enjoyable feeling. The procedural planets don’t have the same curb appeal, but the overall look and feel of Morphite was easy on the eyes while maintaining a beautiful simplicity. I think Morphite is a pretty cool indie game. I wish the technical issues and crashes hadn’t been so rampant during my time with the game, but the main story and gameplay were enough to keep me coming back to solve the mysteries of Morphite.